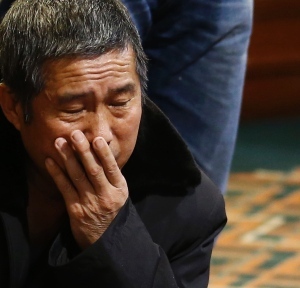 Malaysia has suffered a severe blow to its national pride with the loss of MH370 and all its 239 souls on board. Although tempers have flared and accusations have been fired at the end of the first month little has helped the friends and families of those aboard to understand not only what happened, but why Malaysia allowed it to happen. The plane left its scheduled flight path. It flew back across Malaysian airspace. Would the military authorities who are tasked with the oversight of Malaysian airspace have allowed the plane to fly into the Petronas Twin Towers without questioning its altered flight path or seeking to intercept its flight? Doesn’t their lack of knowledge indicate a huge failure to exercise their responsibility? And if they did know that the plane deviated from its path but didn’t let other nations know, doesn’t that make them responsible for allowing other nations to conduct a fruitless search in the South China Sea for a week at the cost of millions of dollars and precious time wasted while the black box pinger lost battery life? Acting Transportation Minister Hashammuddin has been doing a creditable job in dealing with the fallout on national television every night. He is thoughtful and compassionate, and – most unusual for this country – he can think on his feet and respond to questions without having to refer to the government approved script. But Hashammuddin shouldn’t be in a hurry to leave his day job, for while he is Acting Transportation Minister, his permanent ministerial job is Minister of Defense, heading the same department that either failed to notice or failed to notify other nations that the plane had left its course and had flown back over the country!